Conservative author Ann Coulter will join Milo Yiannopoulos during his “Free Speech Week” at UC Berkeley next month. Yiannopoulos, a controversial right-wing speaker, was invited back to campus by a campus conservative newspaper, the Berkeley Patriot. This comes after his previous event, hosted by Berkeley College Republicans, was canceled Feb. 1 because of the violent protest that erupted on Sproul Plaza. Coulter, who was also invited to speak on campus by BCR in April, will be visiting campus as well after her event was postponed and eventually canceled because of security disagreements between BCR and the campus administration. 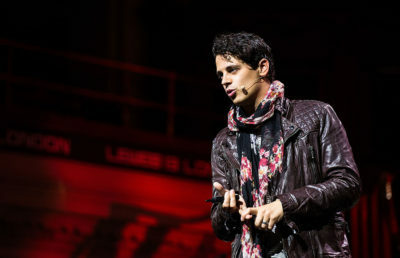 Although The Chronicle of Higher Education first reported that Yiannopoulos, Coulter and Steve Bannon were all invited to speak in September, campus spokesperson Dan Mogulof said the campus was only aware that Yiannopoulos and Coulter have been confirmed. Beyond that, the campus was unaware of other speakers being confirmed. Pranav Jandhyala, the news editor for the Berkeley Patriot, said he could not confirm that speakers aside from Yiannopoulos would be attending Free Speech Week in September. “We have no comment on that at this time,” Jandhyala said of Bannon and Coulter being invited to campus. Chancellor Carol Christ sent an email Wednesday morning in which she confirmed that Yiannopoulos has been invited back to campus. She emphasized in her email the importance of freedom of expression and advised that if people feel the need to protest upcoming events, they should do so peacefully. Free Speech Week is scheduled to take place from Sept. 24-27.